​when having tyres fitted by us. Save up to 40% on all major leading brand tyres. Unsure of your tyre size? No problem: all you need is your registration number. Simply choose and order your tyres at BlackCircles online to be delivered to Car-Nect ready for fitting. Alternatively, if you would prefer, we can order them for you. Either way, it’s simple, convenient and very competitive. 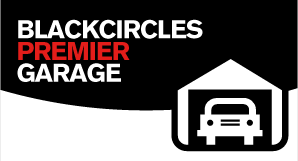 Please contact us with your name and email address and we'll send you a link to Black Circles for new tyres and you can have them properly fitted and aligned here. £10 off Hunter four wheel alignment when having your car tyres renewed by us through BlackCircles. Car-Nect has been selected as a Premier Partner within the Black Circles Tyre Network, the UK’s largest tyre fitting network. The system is simple and user-friendly and enables customers to select, order and pay for tyres online, thus, benefitting from a huge selection of tyres at unbeatable prices. The tyres are then delivered to Car-Nect in time for fitting on the date/time you have specified. There is nothing to pay at the garage and you can sit and relax whilst the tyres are fitted. In short, tracking only checks and adjusts the two front wheels as opposed to four wheel alignment which checks and adjusts, as necessary, each individual wheel. Therefore, tracking is not as accurate and effective since, even if the front wheels are adjusted within spec, if the rear wheels are not correctly aligned to the front then the thrust angle will be incorrect causing the vehicle to pull to one side resulting in premature tyre wear and poor handling. Four wheel alignment is much more comprehensive and better suited to modern vehicles since a lot of features such as Electronic Stability Control (ESP), Parking Assist, Electric Power Steering (EPS), Anti-Lock Braking (ABS) etc rely on accurate and precise measurement of the steering angle sensor otherwise this will cause faults within these safety systems and impair or stop functionality and in some cases render the vehicle immobile. Therefore, the first process of four wheel alignment is to set the steering wheel to the straight ahead position and then set the car up so it is in alignment. The equipment will measure all steering angles and check that they are within manufacturer’s spec and create readings for the purpose of adjustment to toe, camber, castor, king pin inclination, akerman angle, thrust angle etc. Some workshops may refer to tracking as (two) wheel alignment so it is important to ensure that you establish what service you are getting. There is also a vast difference in the standard of equipment being used. The latest equipment, such as the Hunter Elite, uses imaging technology and is extremely accurate and is therefore far superior to it’s competitors. An illustrated print-out is provided detailing the measurements before and after adjustment. Very few companies will be able to perform accurate four wheel alignment at your home since it is not feasible to get accurate results without having the appropriate equipment. Therefore, if you intend to use a mobile service, it is worth getting the four wheel alignment carried out afterwards to ensure that you get the best performance and wear from your newly fitted tyres. It usually takes under an hour and can be carried out while you wait (by prior appointment). On completion of four wheel alignment, some steering systems will require the use of appropriate diagnostic equipment to re-calibrate the steering angles electronically. For example, some of the systems and manufacturers that incorporate this function are Acura (VSA), Audi (ESP), BMW (DSC), Fiat (EPS), Ford (AdvanceTrac), Land Rover (DSC), Lexus (VSC), Volkswagen (ESP) etc. Many modern vehicles are now fitted with TPMS to alert the driver when tyre pressures are low or if there is a fault. However, the TPMS needs re-setting, once the problem has been rectified, in order to turn off the dash warning light. Also, if the TPMS develops a fault and requires a replacement sensor, then the sensor will have to be programmed to the vehicle using the appropriate diagnostic equipment.